Noah Anderson, of Meigs High School, performs with Music City Drum Corps International. 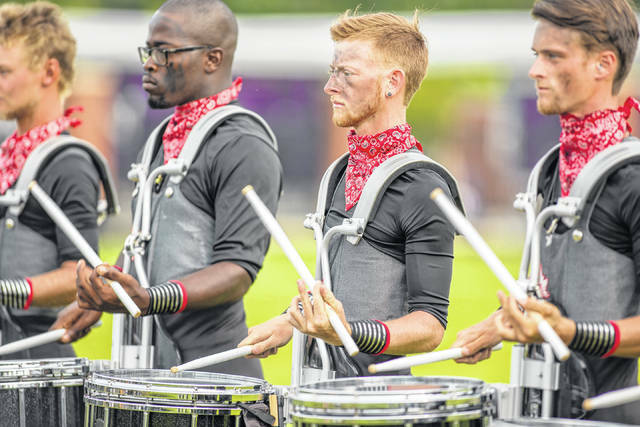 Addison Stanley, Gallia Academy High School alumnus, performs with Music City Drum Corps International. 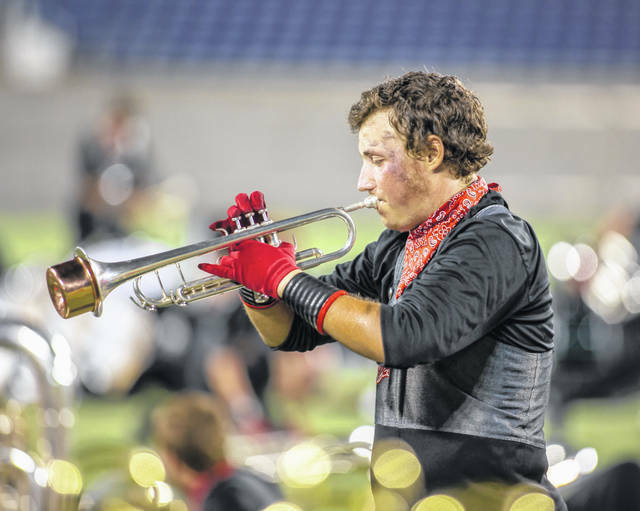 OHIO VALLEY — Two area residents returned to southeast Ohio this week on their way to their next touring stop as they play with Music City Drum and Bugle Corps International, a traveling group of musicians often referred to as a “professional marching band” according to members. Gallia Academy High School alumnus of the Class of 2017 Addison Stanley and Meigs High School student of the Class of 2019 Noah Anderson play snare drum and trumpet respectively as part of the group while it tours 13,000 miles across the country during the summer of 2018, performing and competing against other corps groups. According to Addison’s mother, Amy Stanley, the group has traveled as far west as San Antonio, Texas. The corps is based out of Nashville, Tenn., and consists of around 150 members, including brass and percussion musicians along with performing color guard members. Students ranging from the ages of 16 through 21 make up the group’s membership. Music City tours with its 2018 production Hell on Wheels: The Final Journey of Casey Jones. The group has been named a fan favorite twice in recent performances. According to the group’s website, around 400 students audition for the privilege of joining the group each year. DCI is an organization which governs drum corps from across the US and Canada. Music City is just one corps within DCI’s many. Both said the corps afforded them the opportunity to attend big shows and compete among other world class corps. “People are watching us and it’s cool to see that people are getting on the fanbase,” said the pair.